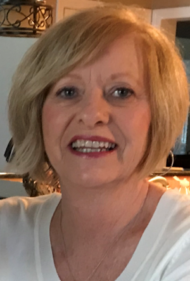 Idaleen (Chris) K. VanGieson, 62, of Lititz and formerly of Frankfort, KY, passed away on Wednesday, March 27, 2019. She was the wife of James (Jim) VanGieson, with whom she shared 35 years of marriage this past May. Born in Frankfort, KY, she was the daughter of the late John Krystofik, Sr. and the late Lorena Stamper Nash. Idaleen was a graduate of Franklin County High School and earned an associate degree from Eastern Kentucky University. She had been a homemaker and had previously worked at Southern Moldings and O.E. Atwood in the Frankfort area. Her family was her greatest treasure and she loved them very much. She also loved her dog, Simon Bristol. Idaleen was known as talented interior decorator. In addition to her husband, she is survived by her children: Christopher A. Geher and Samantha A. married to Scott L. Goheen, both of Ft. Wayne, IN; her granddaughter, Madelyn G. Goheen; her sister, Suzanne Gaines and her brother, John Krystofik, Jr. both of Frankfort, KY and by several nieces and nephews. Services and interment will be in Frankfort, KY. Please accept my condolences, I was completely devasted to hear of Chris’ passing. She was one of my favorite clients. It was my pleasure to do her hair and share many laughs with her. She always brightened my day and the sound of her laugh will stay with me forever. I am heartbroken. Your family is definitely in my thoughts and prayers.